Per a report from MMA Fighting, Kimbo Slice and Ken Shamrock both tested positive for illegal substances before last month’s Bellator 149. It’s not yet clear what exactly the fighters took, but both face 90-day suspensions and up to $5,000 in fines. Both men have been administratively suspended by the Texas Department of Licensing and Regulation (TDLR) pending an adjudication process, sources said. The official test result documents, showing the exact substances Slice and Shamrock tested positive for, have been withheld by the TDLR due to potential pending litigation. Athletes on the card had urine samples taken before their bouts. This would be Slice’s first failed drug test, and the second for the 52-year-old Shamrock, who tested positive for three steroids at the wonderfully-named WarGods: Valentine’s Eve Massacre in 2009. The two men fought last year and Slice won. 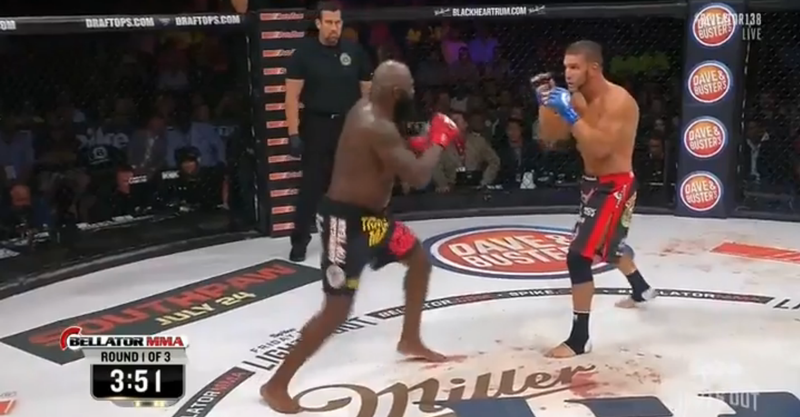 In their respective Bellator 149 fights, Slice took down Dada 5000 in a very dumb knockout in the third round (briefly stopping his heart in the process), and Ken Shamrock lost to Royce Gracie in the first on a TKO. The card was reportedly Bellator’s most-viewed event ever, with over 2 million people watching each fight. .